Nokia Lumia 830 is probably the last smartphone to wear the iconic Nokia logo, five letters with so much history behind. And while it might not be a model as iconic as the original 808 PureView or the Lumia 1020, the Nokia Lumia 830 is destined to go down in history as the end of an era. 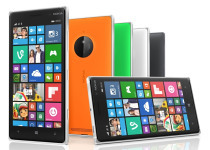 But let's not write it off just yet, the Lumia 830 is still in the beginning of its journey. Riding the current wave of smartphones with thin metal frames, this colorful baby comes up with a vivid screen, a PureView camera and a snappy chipset behind an even snappier Windows Phone. Microsoft has put some serious thought when designing the new Nokia Lumia 830 and you can tell this from the first glimpse - it's a gorgeously looking phone with solid build. The flagship-worthy design incorporates a metal frame, a 2.5D screen glass, exchangeable rear covers in various colors, an OIS-enabled rear camera highlighted with a black glass. The PureView sensor is a key selling point, of course, with 10MP resolution, ZEISS lens and optical image stabilization. But there is more - the Lumia 830 is up to date with wireless charging support out of the box, LTE connectivity, NFC, it even supports 128GB microSD memory cards. Nokia Lumia 830 is among the first devices to run natively on the Windows Phone 8.1 Update 1 OS with the latest Lumia Denim enhancements. And don't forget this all-round package is mid-range price! 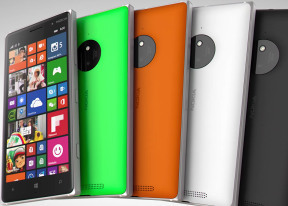 There is very little the Nokia Lumia 830 got wrong. While the Snapdragon 400 chipset delivers a so-so performance on Android smartphones, we already know the lightweight Windows Phone will chug along happily on that sort of hardware. But we'll get into that in a bit. 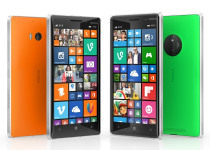 But let's not make the Lumia 830 wait any longer. It's time get it through our traditional hands-on treatment and proceed with the hardware checkup shortly after. The battery is no good. I love windows phone and its now a week since I bought 830 but it reboots every after 2-3 hours and while charging it stops at 80%. What is the problem!! !